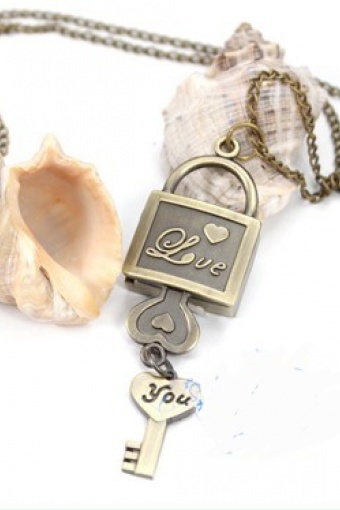 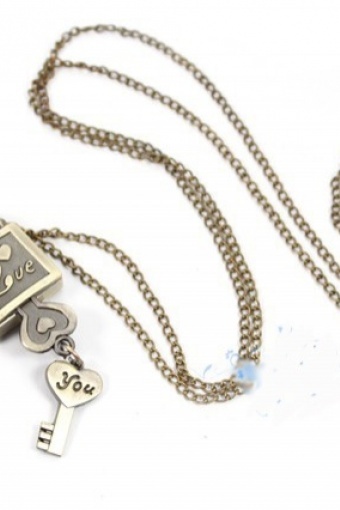 Lovely vintage style pocket watch necklace Petit montre I Love You lock From Paris with Love! 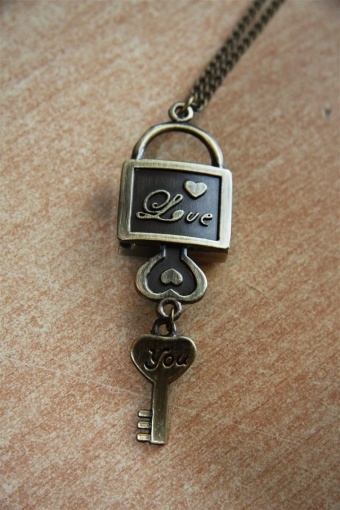 Made of bronze coloured metal (nickelfree). 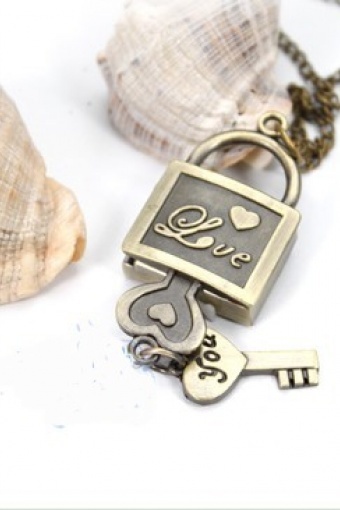 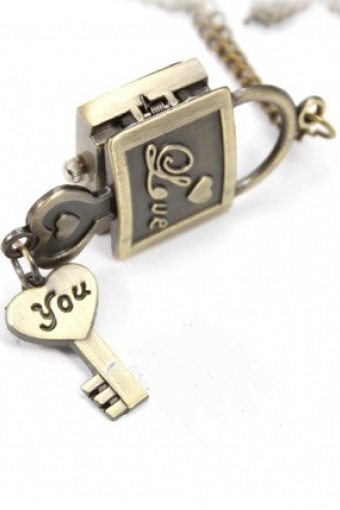 The clock in the shape of a lock with key has Love and You written on it and can be opened. 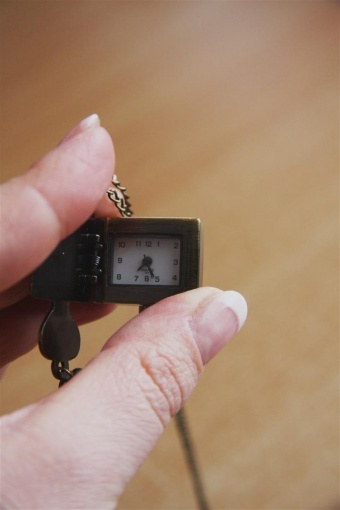 Cute birthday present!